Gibson Dunn | Young, Meryl L.
Meryl L. Young is Co-Chair of Gibson, Dunn & Crutcher’s Securities Litigation Practice Group and Co-Partner in Charge of the firm’s Orange County office. Ms. Young’s practice focuses on complex business and commercial litigation, with an emphasis on securities and merger and acquisition litigation and related government investigations. Ms. Young represents companies, directors and officers, and accounting firms in class actions, shareholder derivative suits and professional liability actions in both state and federal courts. 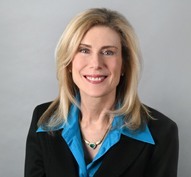 She has also handled a wide variety of other types of business litigation, including cases involving contract disputes, unfair business practices, misappropriation of trade secrets and other business torts, trademark and patent infringement, antitrust, real estate, employment and insurance issues. Ms. Young was named by the Daily Journal as one of California’s Top 30 Securities Litigators and one of California’s Top Women Litigators. She is listed in Chambers USA: America’s Leading Lawyers for Business, The Best Lawyers in America® and Legal 500. The Best Lawyers in America® 2018 named Ms. Young Securities Lawyer of the Year in Orange County. Ms. Young participates in a variety of community and professional organizations. She currently serves on Senator Feinstein’s Judicial Advisory Committee and served as the chair of the federal Judicial Advisory Committee for the Southern District of California during the Bush administration. She previously served as the chair of the Ninth Circuit Court of Appeals Advisory Board, a member of the Ninth Circuit Judicial Conference Executive Committee and co-chair of the Southern District of California Lawyer Representatives to the Conference. She is a past president of the San Diego chapter of the Association of Business Trial Lawyers and a former member of the Board of Governors of the Association of Business Trial Lawyers in Orange County. She is a past chair of the Masters Division of the Orange County Bar Association. She is admitted to practice before the California and New York state courts and the U.S. Court of Appeals for the Ninth Circuit, among others. She is a member of the firm’s Partnership Evaluation Committee. She previously served on the firm’s Executive and Management Committees and as the partner in charge of the firm’s San Diego office.